The ghd Tail Comb is the ultimate multi-tasker. The fine-toothed design is perfect for backcombing, sectioning hair, precision styling and tucking in loose hairs in updos, making it versatile enough to suit all of your styling needs. Boasting anti-static properties, it creates smooth and sleek styles, whilst the tail end can also be used for intricate styling. 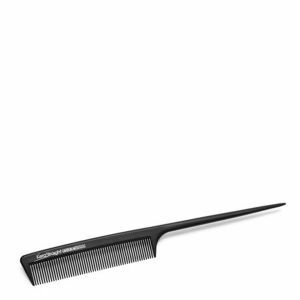 Heat resistant, this hand-crafted comb is made and finished exclusively for ghd so it exudes professional quality and design. For damage-free backcombing, take a small section of the hair and hold it away from the head. 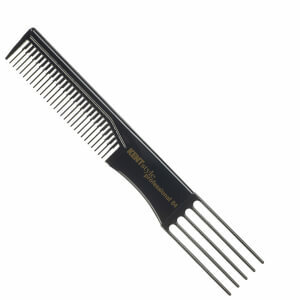 Place the comb in the section, a few centimeters away from the root. Push the comb down the hair against the direction of growth in two short strokes, stopping short of the roots. For the third stroke, push back right to the roots. Continue with this method on each section you want to backcomb. 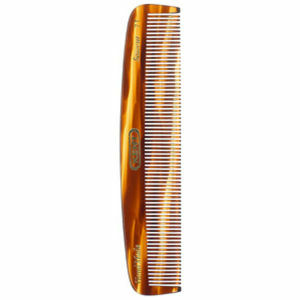 This comb leaves my hair smooth and sleek. I use this after I have dried and styled my shoulder length hair. Excellent comb. Great for teasing and sectioning your hair. One of the best i have tried. Thought i had a good comb before, before i tried this!! 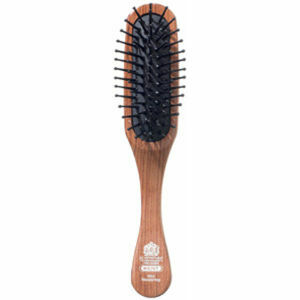 This comb is easy to use/grip and is excellent combing even longer hair, as it does not seem to get tangled. I use it every day.